'Ajino-haha' Mirin is traditionally made in Japan of U.S.A. Lundberg™ organic short grain brown rice. Essential in dashi noodle broth, teriyaki sauce, marinades, and sushi rice. Shoyu and mirin are the right and left hands of Japanese cooking. Mirin with some shoyu is a supreme marinade. 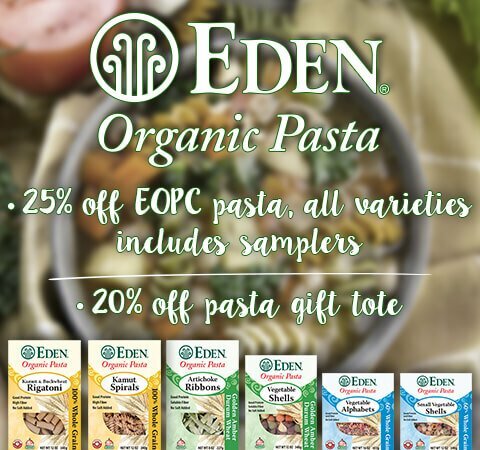 Eden Mirin is made by first washing and steaming California grown Lundberg Family Farm organic brown rice for several hours. After cooling it is mixed with a bit of rice koji (Aspergillus oryzae) called seed koji. The rice mixture is placed in a temperature and moisture controlled koji room for three days where it is stirred daily to ensure proper growth of the koji enzymes. The rice koji is then placed in large vats and mixed with more steamed rice and water. This rice mixture is called 'moromi,' or rice wine mash, that is allowed to ferment for two months. At this time sea salt is added, as well as more steamed rice, koji and water. It is allowed to ferment for another three months. After fermentation is complete, the mixture is pressed through cotton sacks and filtered to remove rice residue. It is heated to 85°C. for 3 to 4 seconds. Mirin's alcohol content, about ten percent, quickly evaporates when cooked with food or may be removed by heating it to the boiling point, and allowed to cool before adding to uncooked foods. Mirin originated in Japan during the 15th century and was initially made by simply mixing cooked sweet rice together with sake, a traditional Japanese rice wine. In the 16th century mirin brewers began distilling this sweet wine in an effort to prolong its shelf life. This distilled wine called 'shochu', or 'fire spirits,' had a very high alcohol content. Over the next several centuries brewers further experimented with shochu by adding cooked sweet rice and rice koji enzymes and eventually sea salt to further reduce the alcohol content. Originally mirin was very expensive and not affordable to the general public. Eventually its virtue as a seasoning was discovered and mirin began to be used in Japan's highest, most elegant form of cooking, 'Kaiseki,' or tea ceremony cooking. Over the years mirin's popularity as a seasoning increased among the general public as it became more affordable, but the quality of most mirin sharply declined. Today most commercial mirin is made from molasses, glucose, artificially produced koji enzymes (many of which are genetically engineered), cornstarch, ethyl alcohol, preservatives and other additives that are simply mixed with water and fermented very quickly. Chemical denaturing additives are used instead of sea salt to reduce the alcohol content. The results are less healthful and inferior in quality and flavor. Eden Mirin is of superior quality containing no artificial ingredients. Eden Mirin is low in sodium and carbohydrate. It is fat free and cholesterol free. The natural sugar content in the mirin is due to the fermentation of the rice and is in the form of complex carbohydrate grain sugar or maltose. Mirin is also a source of naturally occurring amino acids, organic acids and enzymes. 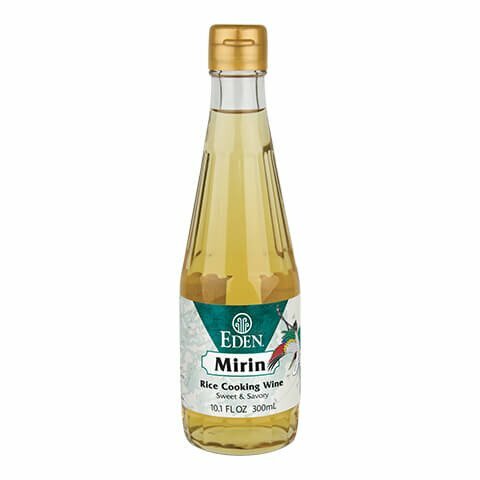 Eden Mirin is mildly sweet with a hint of sour and salty flavors. 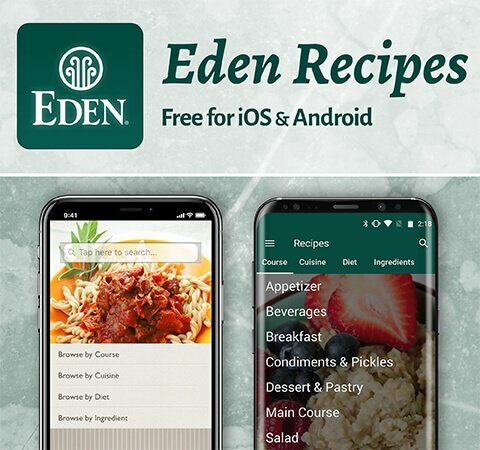 Eden Mirin can be used as a multipurpose liquid seasoning for grilled dishes such as tofu, tempeh, fish, seafood and vegetables. 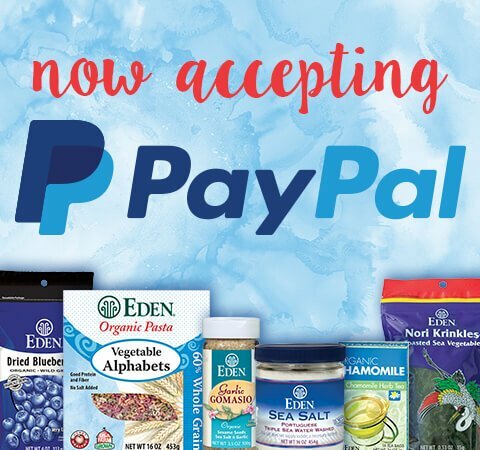 It adds complexity to soups, noodle broth, sauces, poached fish and tofu dishes, marinades, gravies, salad dressings and sautéed vegetable dishes. It can be combined with Eden Organic Brown Rice Vinegar and added to cooked sushi rice; this gives the rice a glossy appearance. To prepare dipping sauce for noodles, grilled foods, tofu, batter fried tempura and other foods, simply combine a little mirin with any Eden Shoyu Soy Sauce and a little freshly grated ginger or a pinch of Eden Wasabi (Japanese Horseradish) powder. Eden Mirin produces a beautiful, shiny finish for glazing pie crusts and pastries. It can also be used in making desserts such as poached fruit and puddings. To use it in place of sugar, add one tablespoon of Eden Mirin for each teaspoon of sugar called for in the recipe.